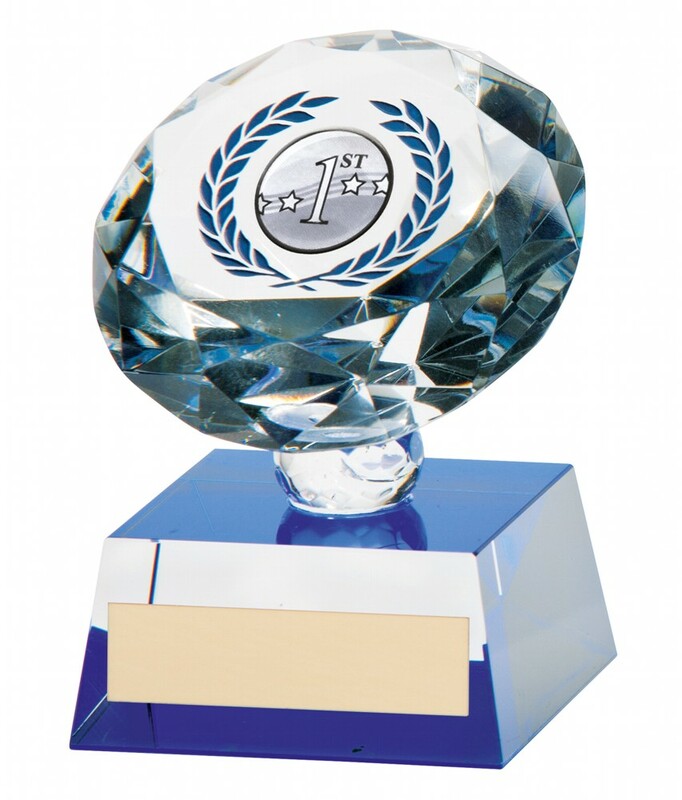 The Diamond Crystal Any Sport Trophy. Available in 2 sizes, 100mm and 110mm high. Crystal diamond award with blue detail. Complete in a presentation box.